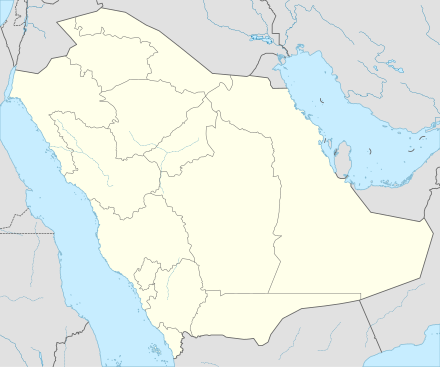 The Saudi Professional League (Arabic: دوري المحترفين السعودي‎ Dawriyy al-Muḥtarifayni as-Suʿūdī), or Saudi Football League, is the top division of Association football league in Saudi Arabia. From 2013 to 2019 it was known as the Abdul Latif Jameel League, or Dawry Jameel, as it was sponsored by Abdul Latif Jameel for six years. The first season of the competition was held in 1976–77, in which it was won by Al-Hilal, which is also the most successful team, holding 15 titles in its history, and is the current title-holder (2017–18). Up until the late seventies, football in Saudi Arabia was organized on a regional basis, with the only nationwide tournament being the King's Cup. In 1976 it was deemed that local football, and transportation links, have improved sufficiently to organize a national league. Hence the Saudi League was launched with 16 clubs participating, and only 8 of them surviving in the next season. This decision was made in order to decide who relegates to the first division, and who rightfully stays on the premier league. In 1981 it was decided to increase the number of clubs and add a second division. The league competition for the 1981–82, known as the ranking league, featured 18 clubs with the top eight qualifying for the first division and the bottom ten to the new second division. The number of first division clubs was later increased to 12 in the 1984–85 season. In 1990 it was decided to revamp local competitions and to introduce professional football. A new league championship was formed called "The Custodian of The Two Holy Mosques League Cup", which was a two-stage championship. The first stage was a regular double round-robin league competition with the top 4 qualifying to the final knockout stage, called the golden square. Clubs were allowed to sign players on a professional basis making the league semi professional. In 2007 It was decided to split the two stages, with the league reverting to a standard double round-robin competition, and a new domestic competition cup competition formed called "The Custodian of The Two Holy Mosques Champions Cup". This cup will feature the top six finishers in the league plus the winners of the Crown Prince Cup and the Prince Faisal Cup. This format will take effect from the 2007–08 season onwards. As of 2008, four teams from Saudi Arabia qualify for the AFC Champions League annually. This includes the top three teams of the league together with the winner of the Kings Cup. If the winner of the King Cup is also among the four top teams then the fourth best team qualifies to the extensions and if the winner of the King Cup is under the four top teams then the fourth team will not qualify and the third team will qualify for the extension. ^ Aboulkheir, Rajia (25 February 2015). "Meet Jameel, the Saudi Football League's new showman". Al Arabiya English. Retrieved 27 January 2019. ^ "Abdul Latif Jameel marks a year of success at SIMS '13". Saudi Gazette. 3 January 2014. Retrieved 27 January 2019. ^ "Jameel League sponsorship hits the target". Opening Doors. Abdul Latif Jameel. Winter 2016. Retrieved 27 January 2019. ^ Varvodic, Marin (24 January 2016). "Al RiyadyaTV (Saudi Sport) – live on sat football via Nilesat 7°W". SportEventz. Retrieved 27 January 2019. ^ "Live Scores – Clubs: Al Hilalclub_hint=Al Hilal". =FIFA. ^ "لائحة المسابقات والبطولات بالإتحاد العربي السعودي لكرة القدم" [Regulations of Saudi Arabian Football Federation Competitions] (PDF) (in Arabic). Saudi Arabian Football Federation. Retrieved 31 January 2016.